A pair of 1950s wall sconces, made by Arlus in France. 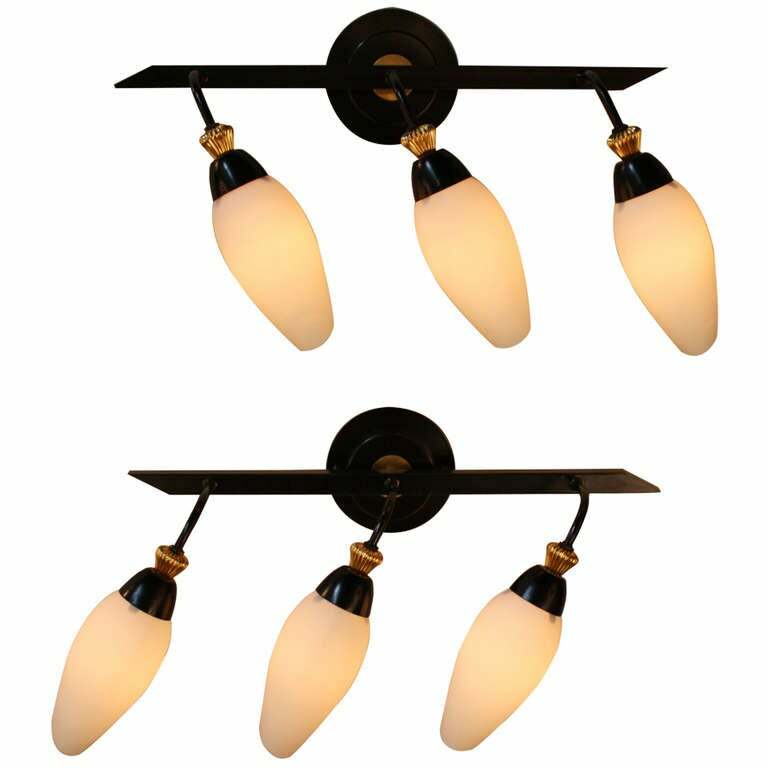 These three-light fixtures feature a beautiful black enamel and brass design. 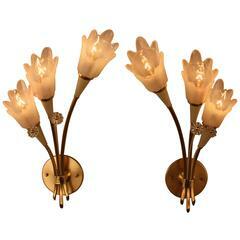 Pair of double light midcentury wall sconces by Maison Arlus We have matching chandelier. Ref: LU913611606363. French Mid-Century Modern double sconce by Maison Arlus, circa 1950. White lacquered metal, brass and frozen glass shade. Pair of painted iron wall sconces with opaline glass shades. Arlus, pair of lacquered metal sconces, circa 1960. 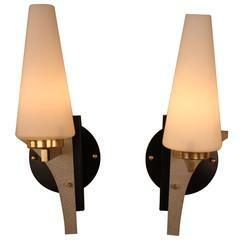 Pair of adjustable swing arms wall sconces, made of brass with age finish.